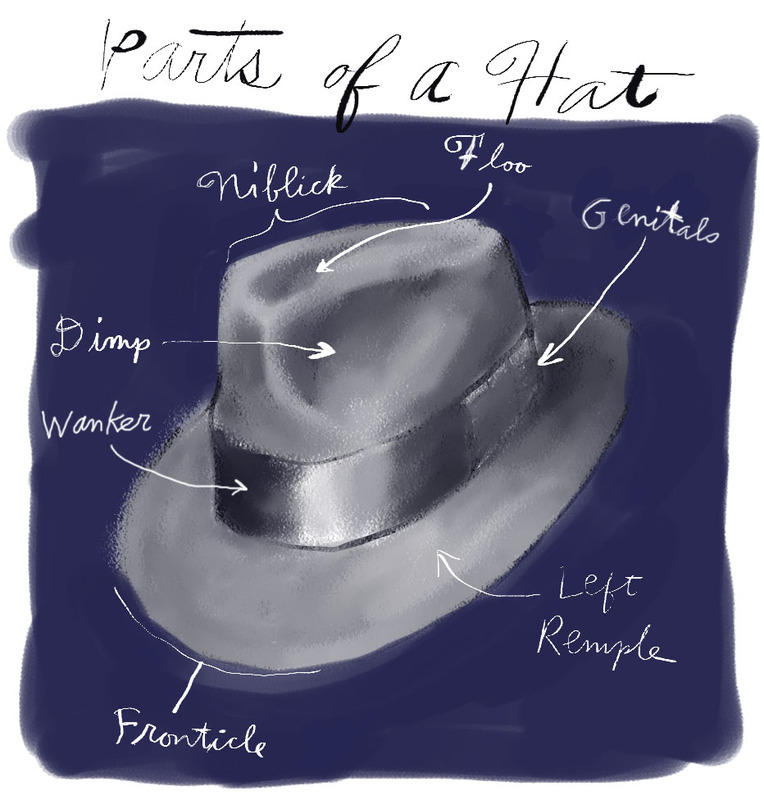 I'm sure there are names for all the parts of a fedora that hatmakers (or hattiers ) use, but I don't know them. But some hat guy made them up out of thin air anyway. Mine are just as valid to me. You can't say I'm lying. There's no truth here. No words are true. Words are just things we agree on. When we feel like it. June 23, 2007 by Walt Taylor.